Cornwall Council: puppet of an English Administration? 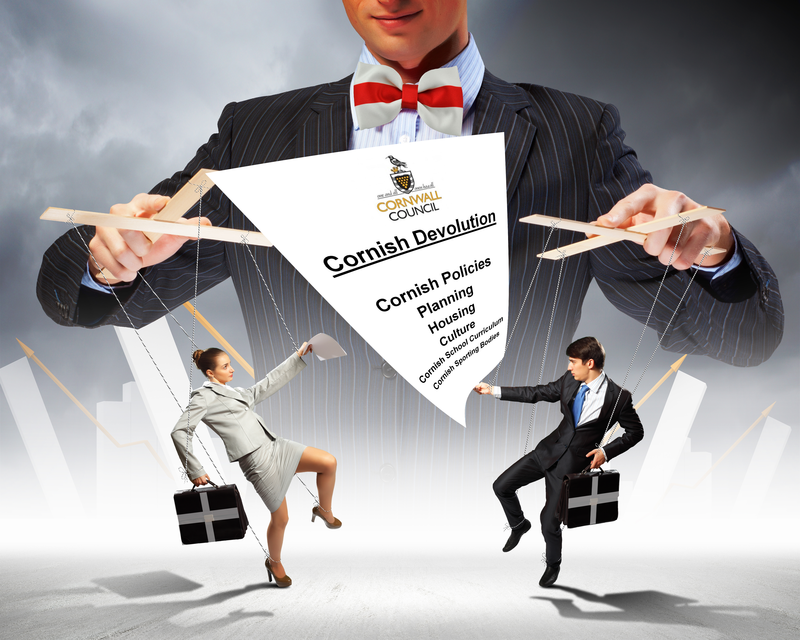 Cornwall Council: a mechanism for change, or the puppet of an assimilating English Administration? The Cornish language is now officially recognised. Also, similar to the Welsh and Scots, the Cornish themselves are a recognised ethnic group within the UK under the terms of the FCNM agreement. Without prejudice to measures taken in pursuance of their general integration policy, the Parties shall refrain from polices or practices aimed at assimilation of persons belonging to national minorities against their will and shall protect these persons from any action aimed as such assimilation. The result of the 2011 Census found that in Cornwall, 73,200 people from 532,273 of Cornwall’s population (14%) recorded their ethnicity as ‘Cornish’. These figures that show that the Cornish are a minority group in Cornwall their homeland. Figures also demonstrate that the Cornish being a minority do not have the numbers, the critical mass required to effect change either through referenda, or the ballot box. In relation to the specific subject of devolution, I am convinced that the Cornwall Deal which was agreed in July 2015 will be the catalyst to achieving greater autonomy for Cornwall, on the proviso that Cornwall can demonstrate that it has used that first tranche of devolved powers, flexibilities and freedoms to accelerate economic growth and deliver public service reform – particularly health and social care integration. Linked to this the Leader announced at the full Council meeting on 26 January 2016 that the Local Government Boundary Commission has agreed to the Council’s request to vary the terms of the forthcoming *electoral review of Council divisions to allow for a fundamental appraisal of governance arrangements in the Duchy. It is not my place to second guess the outcome of the review or state a preferred governance model the outset. However, I fully anticipate that the creation of a Cornish Assembly or some form of devolved administration will feature prominently in the discussions. The review of parliamentary boundaries, initiated by David Cameron, is due this month when it will become clear if Cornwall Council can demonstrate the ability of varying the Commission’s terms. What fundamental ‘appraisal of governance’ will be negotiated in the Duchy must be the groundwork that will result in Kernow/Cornwall having a Cornish administration; a Cornish Assembly. * Boundary Review (based on the provisions within the Act and the present electorate of Cornwall) would inevitably include the creation of a cross-Tamar “Devonwall” constituency.